1701 has around 50 active members both male and female, from all over the world with the majority coming from the United Kingdom and United States. If you want to become part of a close group of friends who enjoy the world of online gaming then look no further then 1701. With over 14 years of history, 1701 shares both the experience and skill of being a well maintained and fair play zone. 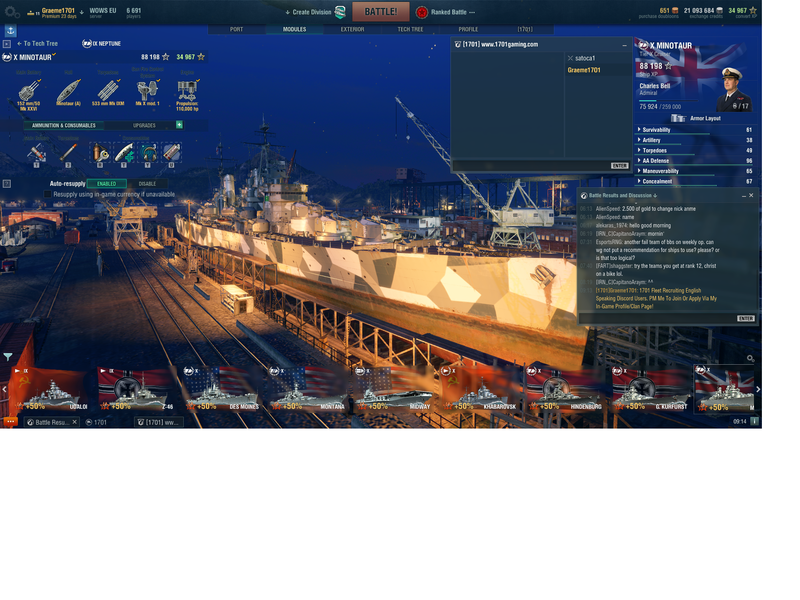 1) World Of Warships - EU Server. 7) Call Of Duty Collection. 8) Company of Heroes Collection. 9) Dawn of War Collection. 11) America's Army 4: Proving Grounds. 12) Tom Clancy's: The Division. 1) Knights Of The Old Republic 3. If you are interested in joining 1701, then feel free to jump on Discord and meet people. Our only joining requirements are that you have a working Mic, are willing to use Discord with the rest of your new friends and treat people with the same level of kindness, respect and regard that you would expect.